Kyle & Ryan site down and take a moment to reflect on where the show has come from and where they want it to go. They tackle things like their favorite and least favorite episodes and dream together about who would be a dream guest. Also help us get one of them tweet at Kevin Smith and tell him you want to hear him on our show! Last of course thank you to you guys that listen we still don’t know why you do but we appreciate that you do. Cheers! to another 100 episodes! Boy oh boy do we hope you like tangent episodes because this one is chock full of em! We talk about monsters from our childhood, real life monsters and a lot of very thinly related things. 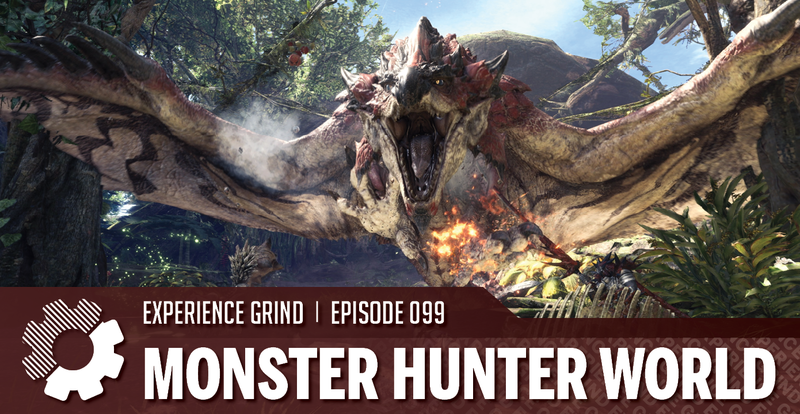 We also do talk about Monster Hunter World and what it contains within and if we like it or not…eventually we do. 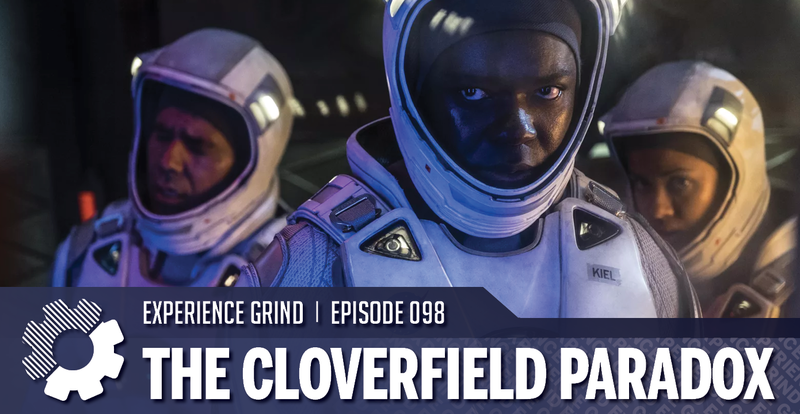 We are now 1 episode away from #100 and we still don’t know what to do to celebrate it. Lets be honest, probably nothing. Norm Macdonald getting his own Netflix talkshow? Rumors are coming out that Norm Macdonald is in talks to have his own talk show on Netflix similar to David Letterman and Chelsea Handler. I am very excited at this news as Norm has been one of my favorite comedians ever since I first saw him on Weekend Update. I was a young boy but really enjoyed his dry, cutting humor. I remember my mother telling me when he was fired from SNL and how sad I was. 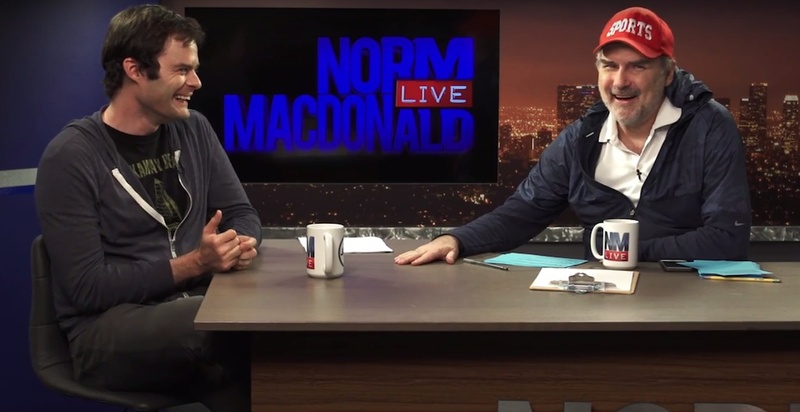 Norm eschews most normal interview trappings and tries to have an honest but humorous conversation with the people he interviews on his podcast “Norm Macdonald LIVE”. He peppers jokes in constantly while speaking and sometimes purposefully tries to trip up his guests. Norm has been known as your favorite comedians favorite comedian but seems to have mostly flown under the radar from most main stream appreciations, the man has a wit that is cutting and an almost unrivaled understanding of timing watch for his example how he has fun on the Conan show and saves a pretty mediocre and boring interview. I look very forward to this news and hope for my selfish sake it comes true. 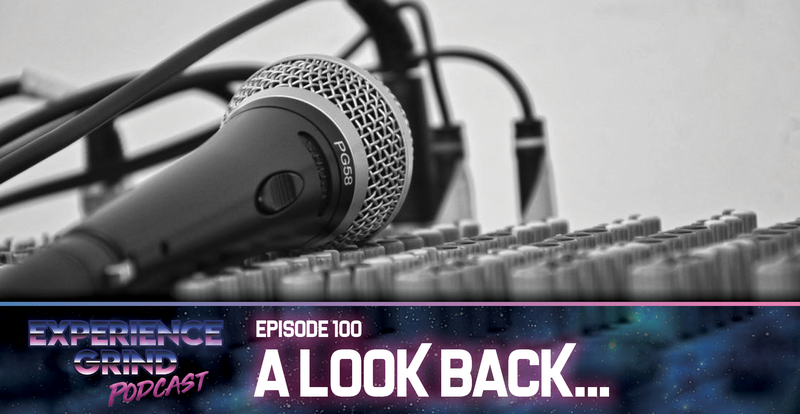 This week sees the return of a previous guest that Kyle & Ryan enjoy immensely. Alex from Chicago returns and he brought a lot of booze with him. 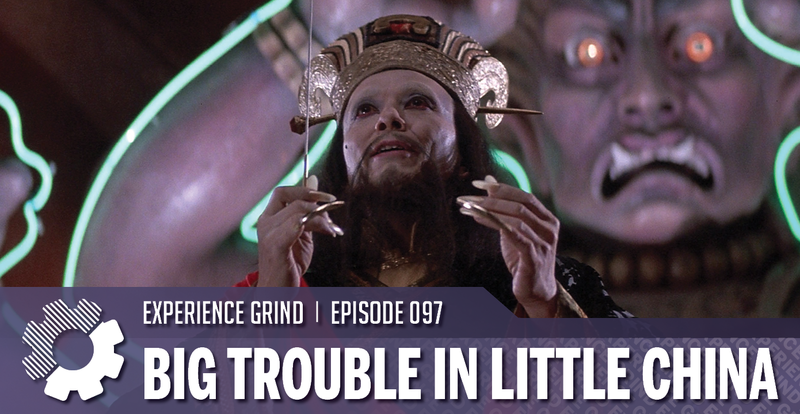 He also watched the wrong movie (He watched “Big Trouble” from a few episodes ago) so they spend part of this episode talking about that movie again. #Russellfest continues on and they do eventually discuss the title episode albeit briefly. A revisit is probably do to give this one justice. Thanks for listening we hope you enjoy Alex as much as we did.